Charter a private flight to Martha’s Vineyard, an island located off the coast of Massachusetts and a popular summer destination for celebrities and affluent families. 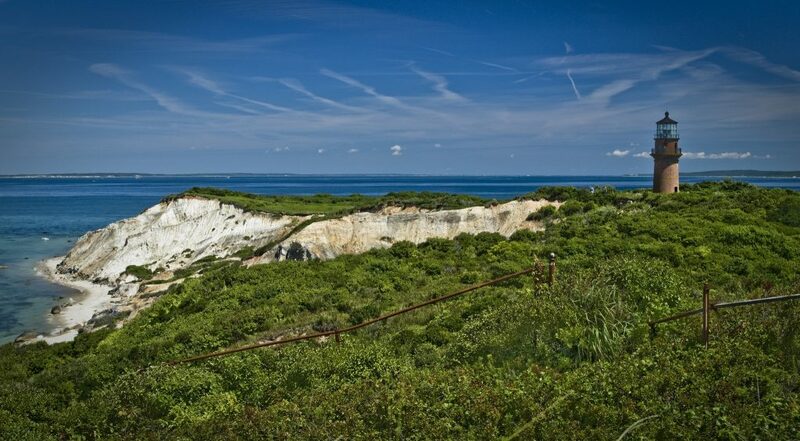 Primarily known as a summer colony and located 8 miles south off the Cape Cod peninsula, Martha’s Vineyard is only accessible by boat and air — the island is served by a dual runway airport, and the population swells throughout the summer months as New Englanders enjoy weekend escapes, or make their way to second homes. Air Charter Advisors is your comprehensive source for all your private aviation needs in New England, offering the highest levels of service backed by years of industry knowledge & experience. We arrange business jet rentals for executive travelers, luxury private jets for celebrities/VIP’s; one-way & empty leg charter flights for summer and part-time residents, and we offer private plane marketing & management services for aircraft owners in Massachusetts and surrounding areas of the Northeast. We’re a small, boutique company that provides exceptional levels of service, and more attention to detail than other companies — when you arrange your flight with us, you’re more than just an account number. Working with ACA means having a dedicated advisor read to assist with all aspects of your private air travel. Our brokers will be available to you 24 hours a day, tracking your flight and ensuring you’re provided with everything that you need. It’s also important to know what kind of company you’re working with. Safety is the number one priority for every flight we arrange, something we’ve proven by becoming a Wyvern-certified jet charter broker. There are more than 4,000 brokers worldwide, with less than 75 of them holding this accreditation. This means you can have peace of mind knowing your flight is being arranged by a company performing their due diligence, and thoroughly researching every aspect of your flight. Our services extend around the world, and we offer no commitment, all inclusive quotes without attaching additional fees, charges, or memberships. Enjoy instant access to thousands of private planes, and luxury concierge services that complement your luxurious charter flight. Contact us via e-mail to receive a quote or give us a call at 1-888-987-5387 to arrange your private flight to Martha’s Vineyard, MA. Fly private to Martha’s Vineyard Airport (MVY), the island’s only airport centrally located in Dukes County, Massachusetts. The abbreviation MVY has become part of the local vernacular, being used in general shorthand and by WMVY, a local radio station. The airport has two runways to accommodate private jets, turboprops and piston aircraft, and FBO services are offered daily between 5am – 10pm LT for guests and pilots, including aircraft services and facilities, guest and flight crew lounges, and free Wi-Fi access. 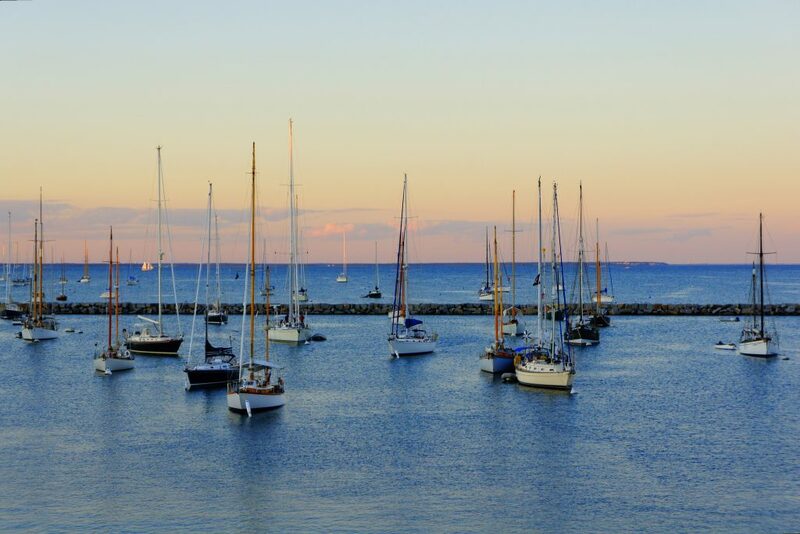 Situated just a few miles south of Cape Cod, Martha’s Vineyard is New England’s ultimate summer escape, home to pristine natural beauty, charming beach-side homes, salty breezes, harbors filled with sailboats, fresh-caught seafood, and idyllic weather. This triangle-shaped, 100 square-mile island was a thriving whaling hub along with its neighbor Nantucket throughout the 19th century, until the industry collapsed following the discovery of petroleum in Pennsylvania in 1870. 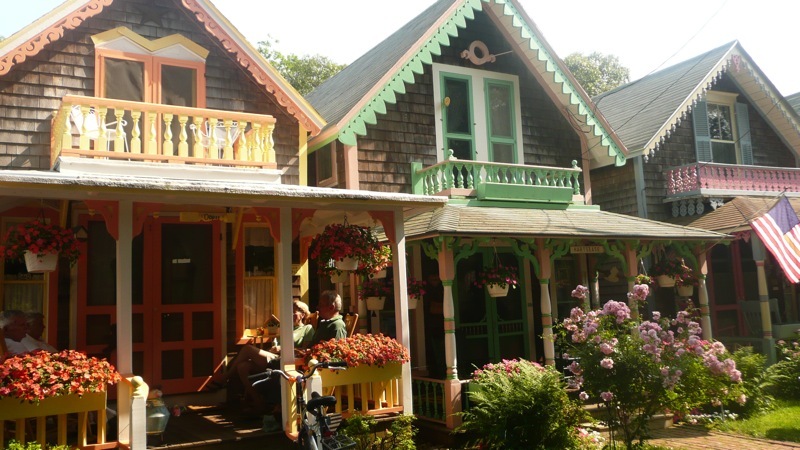 Since then, Martha’s Vineyard has become a summertime haven frequented by the rich and famous for more than a century, and is often referred to as “Hollywood East”. By summer’s end, a majority of the island’s inhabitants are established seasonal residents from throughout the Northeast; although some fly from across the US, most are within close proximity in the New England area. In fact, many communities are home to generations of part-time residents, creating friendly hamlets with relationships built over many decades. Still, there are plenty of weekend visitors and cottage renters in what known as their “home away from home”. Famous residents of this affluent summer colony have included a number of high-profile artists, musicians, movie stars, film makers, novelists and politicians have resided on the island; Presidential visitors have included the Obama, the Clinton, and Kennedy families, and even Ulysses S. Grant visited a friend’s residence on Martha’s Vineyard back in 1874; the fishing village of Menemsha and the town of Chilmark served as the location for Steven Spielberg’s 1974 movie Jaws. Despite the island’s all-star lineup and Hollywood allure, its laid-back, relaxed lifestyle prevails. Less modern than Cape Cod yet cosmopolitan compared to Nantucket, Martha’s Vineyard offers a summer hideaway for affluent travelers, with casual elegance, idyllic summer weather, lobster rolls, storybook villages, and a rich maritime culture. The island has six towns, each offering a variety of dining options and luxury accommodations, and is split into eastern and western halves known by locals as Up-Island and Down-Island — the terms originate from its heyday as a whaling center, when vessels sailed around the globe in relation to the Prime Meridian: in nautical terms, heading “up” meant sailing west from zero degrees of longitude, whereas “down” was heading east. Looking to beat the crowd during the peak tourist months? 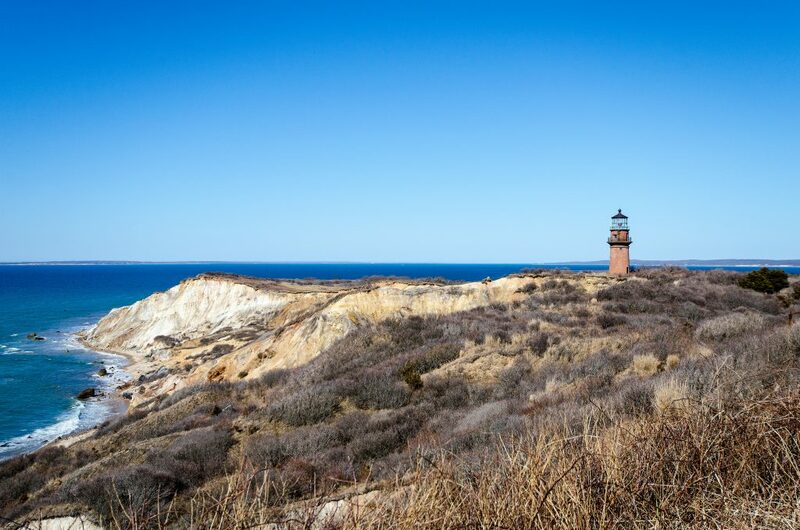 Head up-island where you’ll find the three rural towns of Chilmark, Aquinnah, and West Tisbury. This area is home to low-key beaches, scenic views of grass-covered rolling hills and multi-colored clay cliffs, and restaurants you can walk in and be seated at. You’ll also find the fishing village of Menemsha, south-facing beaches with the most surf, and some of the highest property values of any town in Massachusetts. The eastern portion of the vineyard known as down-island features the historic villages of Edgartown, Oak Bluffs and Vineyard Haven, and is where you’ll find most five-star accommodations. It also includes the smaller Chappaquiddick Island, which is usually connected to the Vineyard unless a storm or hurricane separates the two; the last time they were separated was in 2007, connecting again as of 2015. Gain access to the following private planes when arranging your charter flight to Martha’s Vineyard (MVY). All of the planes we arrange are operated by FAR Part 135 or 121 (or foreign equivalent) air carriers, and we use pilots carrying a wealth of experience as pilot or second-in-command of the make/model aircraft you’re chartering. Every plane is designed to perform a specific mission based on flight distance, passenger amounts, baggage space and other factors. Let us know the goals of your flight and we’ll locate the best planes available, taking into account routing, scheduling, empty leg availability and more. Don’t see your preferred plane listed here? Let one of our brokers know and they will find one for you. Request a Quote or give us a call at 1-888-987-5387 to speak with one of our air charter brokers and arrange your private flight to Martha’s Vineyard, MA. When you book your flight with ACA, you’ll enjoy maximum levels of safety, convenience, comfort and discretion. Our private jet charter services can add hours to your day in Martha’s Vineyard by skipping missed connections, long lines, delays/cancellations, inconvenient scheduling and other hassles associated with flying commercial — choose your plane, select the date and time of departure, then simply show up for your flight. No hassle. No lines. No waiting.